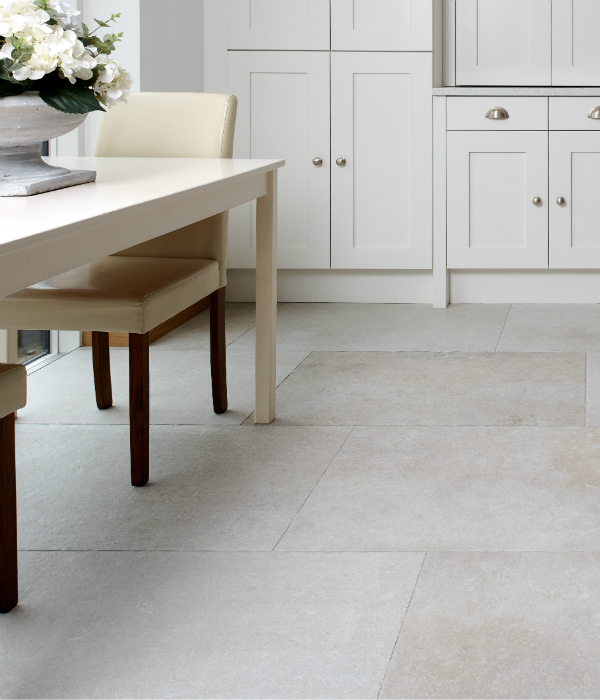 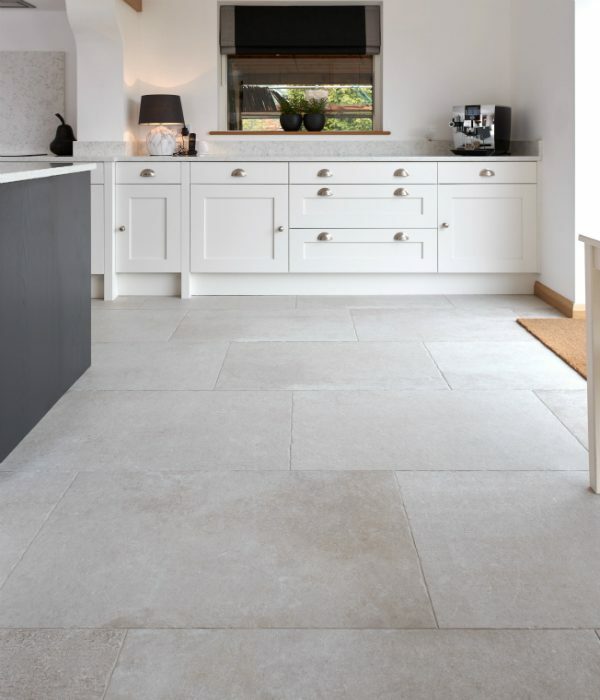 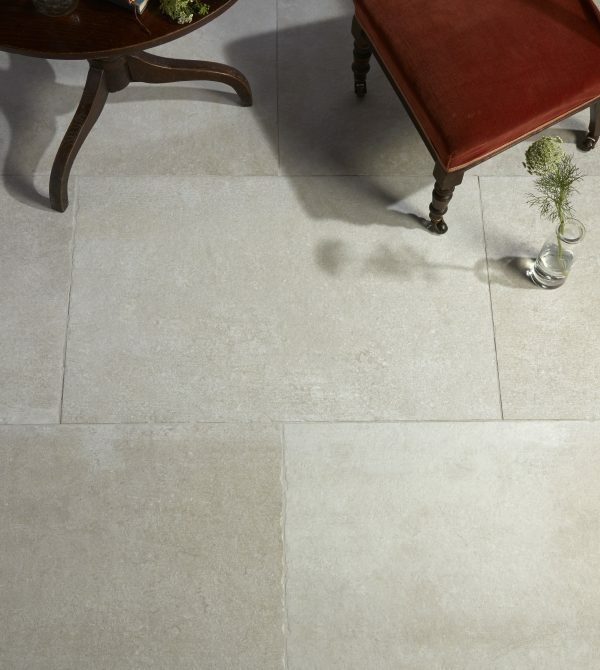 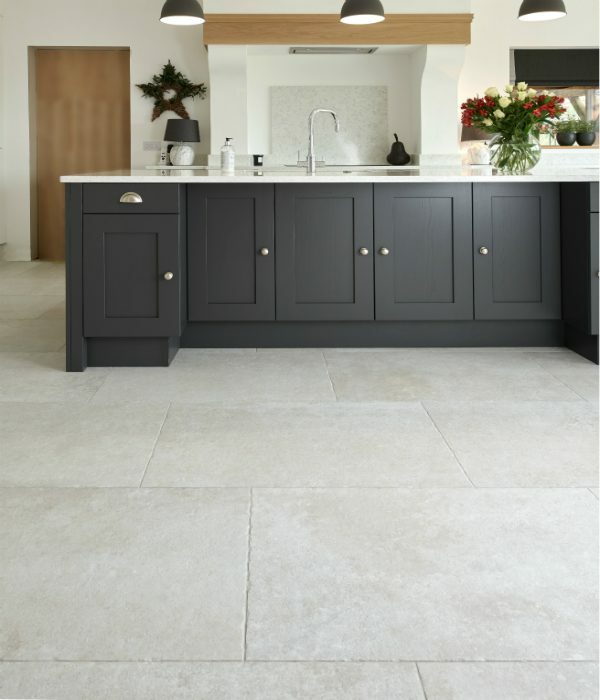 This is a great alternative to the famous French Barr limestone, which is practically impossible to find in affordable reclaimed form nowadays. 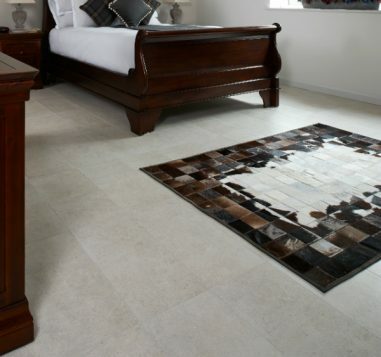 It’s in a flagstone format and has a really authentic, highly-varied pattern, which works really well in bigger spaces. 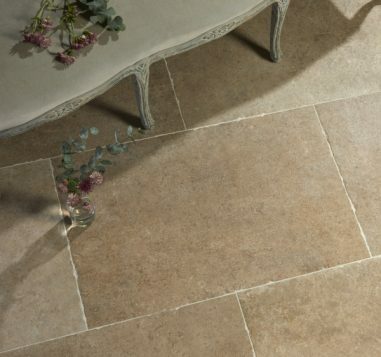 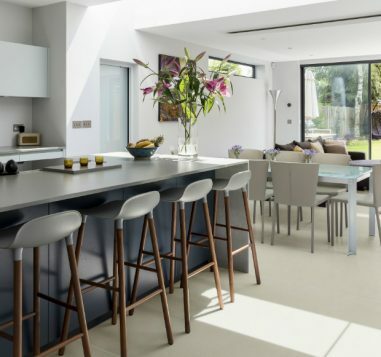 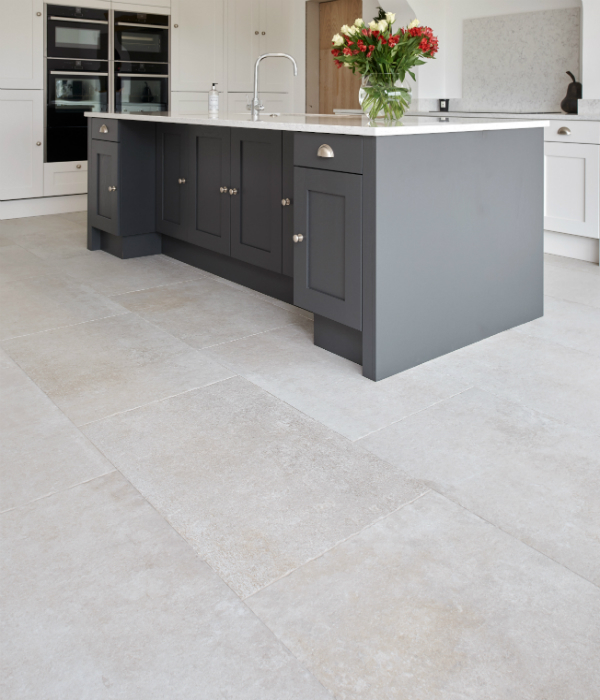 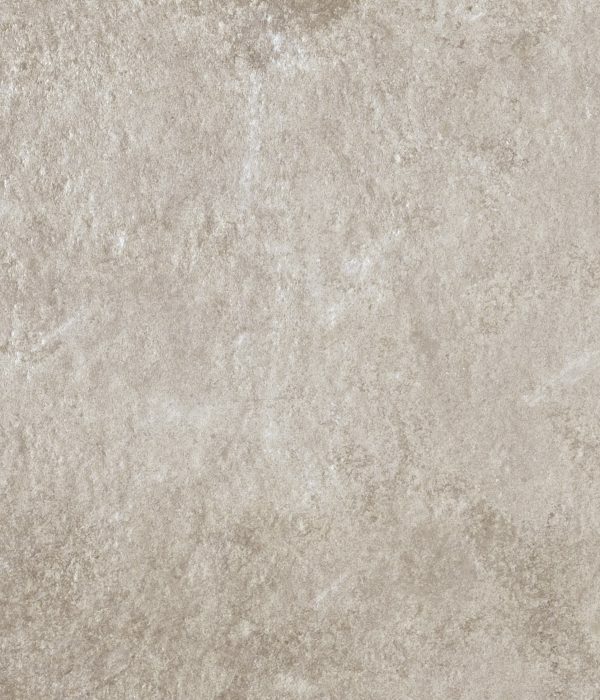 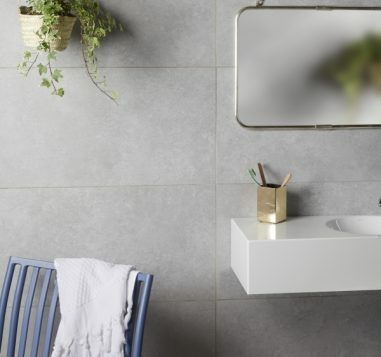 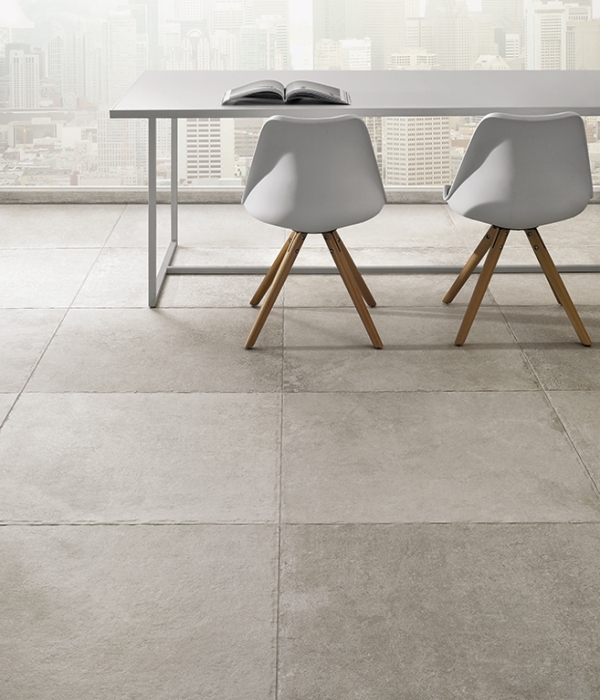 Unlike natural stone, it is smooth and flat, which does make it very easy to clean, but it does have the lightly chipped edges that add to the sense that this is not easy to distinguish from the real thing.